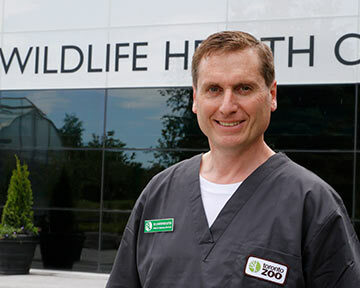 Dr. Christopher Dutton is the Head of Veterinary Services in the Wildlife Health Centre at the Toronto Zoo. He graduated from the School of Veterinary Sciences, University of Bristol, and has a MSc in Wild Animal Health from the Royal Veterinary College and the Institute of Zoology, London. He was Head of the Veterinary Department at the Durrell Wildlife Conservation Trust, Jersey, UK, and then completed a Residency in Zoological Medicine at the Saint Louis Zoological Park and the College of Veterinary Medicine, University of Missouri, USA. He has been a veterinarian at the Toronto Zoo since March, 2003, and Head of Veterinary Services since September, 2014. He became a Diplomate of the American College of Zoological Medicine in 2005 and of the European College of Zoological Medicine (Zoo Health Management) in 2012. He is an Adjunct Faculty Member in the Department of Pathobiology at the Ontario Veterinary College and regularly teaches Chemical Immobilization of Wildlife Course for the Canadian Association of Zoo and Wildlife Veterinarians. 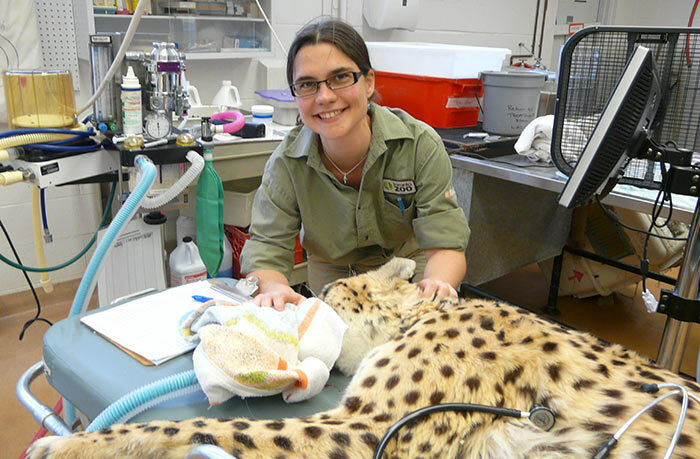 Dr. Pauline Delnatte is one of two staff veterinarians at the Toronto Zoo. She obtained her veterinary degree from the National Veterinary School of Toulouse in France and completed an internship in exotic pet medicine and bird of prey rehabilitation at the University of Montréal. She then spent some time in mixed practice in France before completing a residency and doctorate in Veterinary Sciences (DVSc) in zoological medicine and pathology offered jointly by the University of Guelph and the Toronto Zoo. She worked at the University of Montréal for another two years where she was sharing her time between wildlife pathology at the university and clinical activities at the Québec Aquarium and the Granby Zoo. She returned to the Toronto Zoo in 2015 as one of the staff veterinarians, and is also an adjunct professor for the Department of Pathobiology at the Ontario Veterinary College. She became a Diplomate of the American College of Zoological Medicine in 2015 and a Diplomate of the European College of Zoological Medicine in 2017. Pauline has always been passionate about wildlife and conservation and feels extremely fortunate to be part of the Wildlife Health Centre team. Dr. Gabriela Mastromonaco is the Curator of Reproductive Programs & Research at the Toronto Zoo. She holds a PhD in Reproductive Biotechnology from the University of Guelph and has spent the last 20 years in the field of reproductive sciences working on all aspects of assisted reproduction in both domestic and non-domestic species. 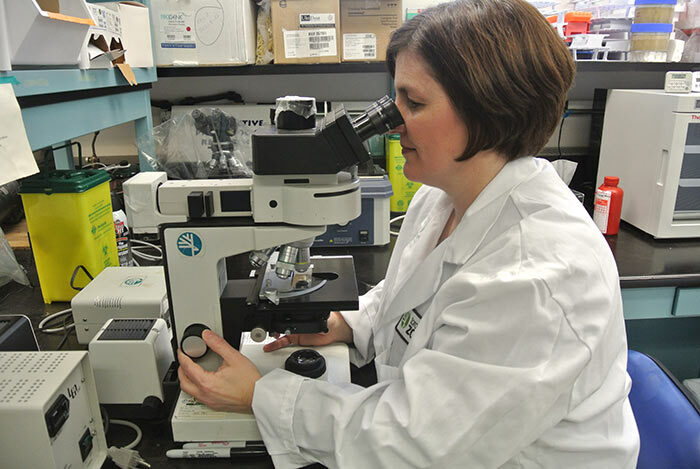 Gabriela is an adjunct professor in the Department of Biomedical Sciences, University of Guelph, as well as the Departments of Biology at Laurentian University and Trent University. She is a member of the Association of Zoos & Aquariums Reproductive Sciences Advisory Group (AZA-RSAG) and a board member of the International Society for Wildlife Endocrinology. Gabriela’s research focuses on understanding the species-specific differences in the reproductive biology of diverse species and developing tools to overcome challenges affecting reproductive success. Dr. Mastromonaco is the only full-time reproductive physiologist in a Canadian zoo. 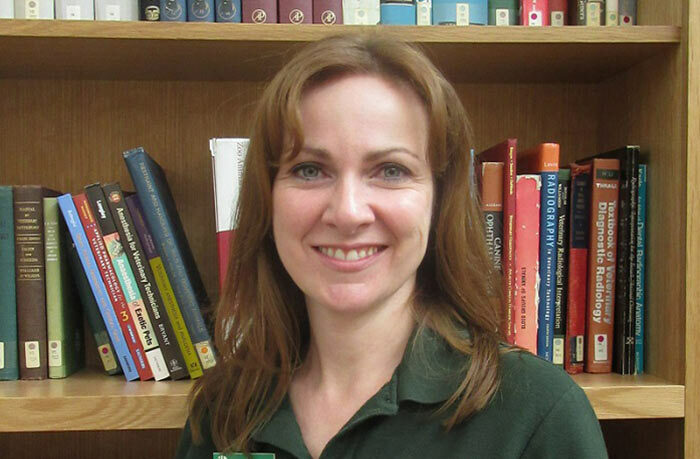 ­­Tasha Long is the Supervisor of the Wildlife Health. Tasha received her Bachelor of Science degree in Agriculture, Honours Program, with a major in Animal Science from the University of Guelph. She received her Veterinary Technician Diploma from Seneca College, and has been a Registered Veterinary Technician since 1998. Tasha started her career at the Toronto Zoo in 2000 as a Wildlife Health Technician, then became the head Wildlife Health Technician in 2009. Tasha has been the Supervisor of the Wildlife Health Centre since 2013. Tasha is a member of the Ontario Association of Veterinary Technicians and a member of the Association of Zoo Veterinary Technicians. 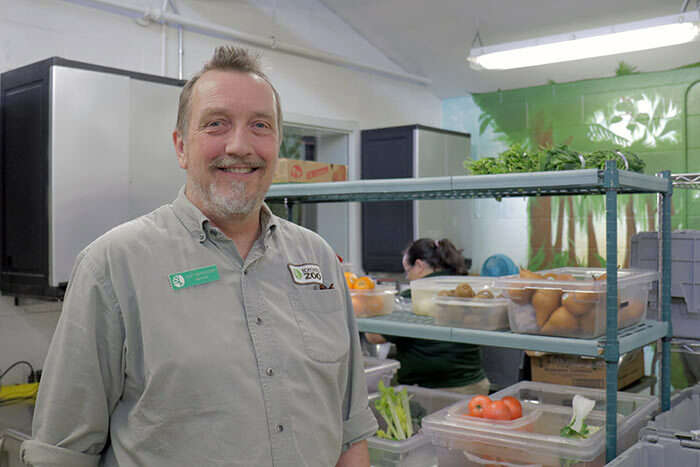 Jaap is the Head Nutritionist at the Wildlife Nutrition Centre of Toronto Zoo, managing a team of both the food production unit and the nutrition research programs. He has over 30 years’ experience working with Animal Nutrition and Animal Nutrition Research. Before working in Canada he worked in the Netherlands, the Republic of North Yemen, and Scotland and in the United Arab Emirates. The food production unit of the Wildlife Nutrition Centre prepares close to 500 different animal menus every day. Most animals at Toronto Zoo are fed different feed items on a seven day rotation. Wildlife diets are formulated, registered, prepared and distributed by the staffs of the Wildlife Nutrition Centre. Nutrition and physiology research is done in cooperation with the University of Guelph, York University and the University of Toronto and include the preservation and feeding of browse to zoo animals, studies to support bio-energetic modelling of polar bears, evaluation of gut-loading diets for crickets as feed for amphibians and reptiles and studies on the diets for the endangered black footed ferrets. Jaap is the Nutritionist for the Black Footed Ferret Species Survival Program (SSP) and an active member of the Nutrition Advisory Group, including advisor to the Bear TAG and Ungulate TAG. He is member of the Comparative Nutrition Society and member of the European Nutrition Group. The Toronto Zoo was the first zoo in Canada to hire a full-time nutritionist.